I was having a serious baking craving this morning, so I decided it was time to act on this thought. 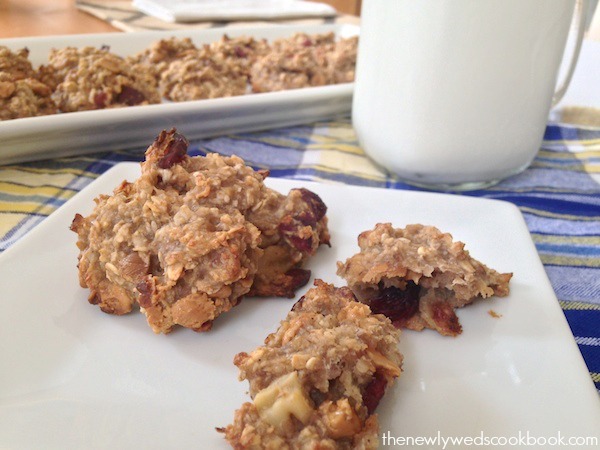 And here we have, healthy banana oatmeal cookies. The wonderful thing about this dessert recipe is that I didn’t have to go out and buy a thing! I had it all, which makes my wallet feel happy. I had leftover walnuts and crasins from the perfect summer salad I made last week. 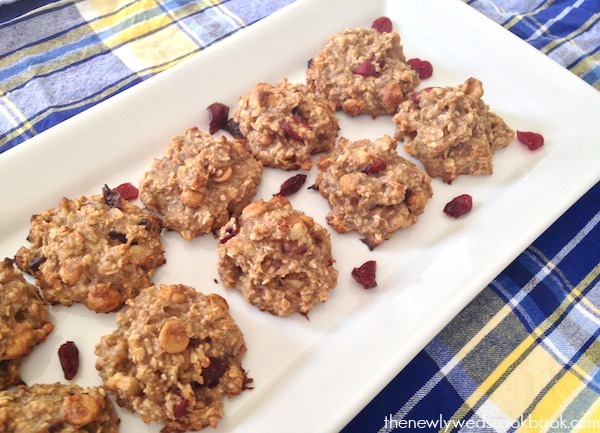 And, I still had some peanut butter chips from when I made oatmeal peanut butter cookies. These cookies were excellent straight out of the oven, but as they’ve cooled, have taken on an even better taste! And, hey, they’re healthy, right?! Makes them even better. They are the perfect combination of textures and flavors. 2. 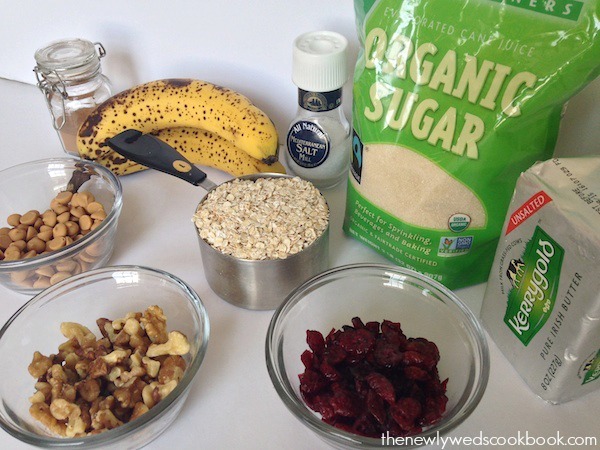 Place the bananas, sugar, salt, oatmeal and cinnamon in a Kitchen Aid mixer and combine ingredients together well. 3. 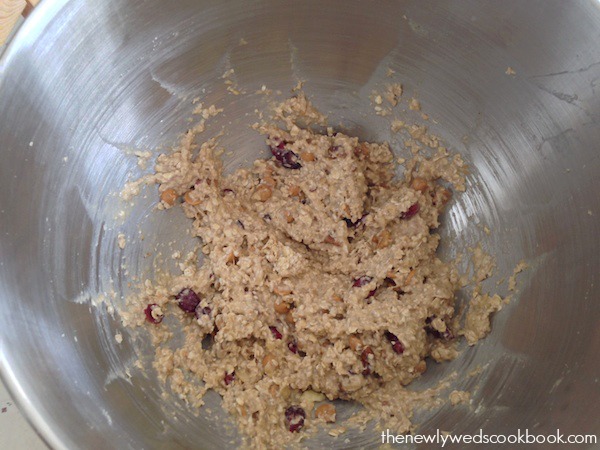 Add in the craisins, peanut butter chips, and chopped walnuts, and continue mixing just until well combined. 4. Place some parchment paper, or spray a cookie sheet, and scoop dollops of the mixture onto the sheet. 5. Bake in the oven for 20 minutes or until they appear golden brown. 6. Take out, let cool, and enjoy!